When it comes to interior design, there are many benefits of leather dining chairs. After centuries of furnishing homes with plain wooden furniture, leather has revitalised the interior industry, paving the way for a modern style of chair that’s proven immensely popular. There are three types available – real, faux and bonded – each with their own benefits and host of stylish attributes. This article will talk you through the advantages of each in turn, helping you to make the right purchase for you. Want to make a statement? Choose from our range of genuine real leather dining chairs for a touch of class, their distinct aroma infusing your surroundings with that luxury, designer feel. Often purchased by those with a little more to spend, they deliver a lavish dining experience and premium look that will not disappoint. 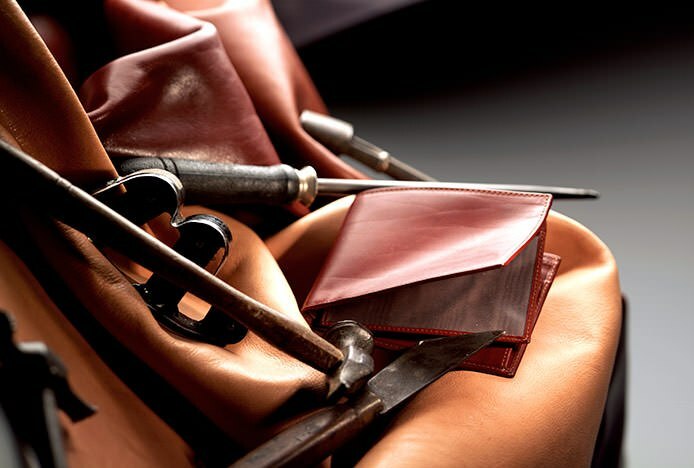 A natural material with its own set of exclusive features, real leather products have a beautifully unique look, as no two animal hides are exactly the same. Resilient to cracking, peeling or tearing, it’s a highly durable and practical material that’s known for aging well. Becoming softer and more attractive over time, any worn spots simply gain a sleek burnished look, enhancing their character. With pores like skin, it breathes and changes temperature with your body, characteristically warmer than sitting on ABS plastic or wooden finished products. Unlike fabric it does not hold dust, making it resistant to dust mites and fungal attack; a great dust free option for asthma and allergy sufferers. Sun, heat and fire resistant, it also makes for a safer choice than many other soft furnishings. Shopping on a budget? Our faux leather dining chairs are an inexpensive alternative that boast a smoother, more consistent feel for a more uniform look, at a fraction of the price. With an element of stretch, faux is less susceptible to puckering, perfect for rounder styles of chairs. A key feature is that it can be dyed to a rainbow of colours, catering to a broad spectrum of tastes and decors. Lighter shades such as cream, green and lilac induce a calm atmosphere, whereas bolder colours such as red, yellow and orange will pack a visual punch. Low maintenance, scratch and fade resistant, it’s a popular choice with families and business professionals alike. Its water repellent, stain resistant surface means it can easily be wiped clean should any spillages occur, perfect in busy kitchen and dining environments, especially with messy children and pets about. Made from a synthetic material, no animal products are used in production, a great alternative for vegetarians and religions opposed to real leather products. A halfway house between the two, bonded leather draws attributes from each. Made from leftover genuine leather pieces joined together with adhesive and covered in vinyl, it’s a recycled material and “green” choice that’s popular with many of our environmentally aware customers. With its trademark antiqued finish yet budget cost, it is highly sought after. Take a look at the Chicago Oak Dining Chair Cream, a classic design upholstered in sleek cream bonded leather that’s both modern and minimalist. 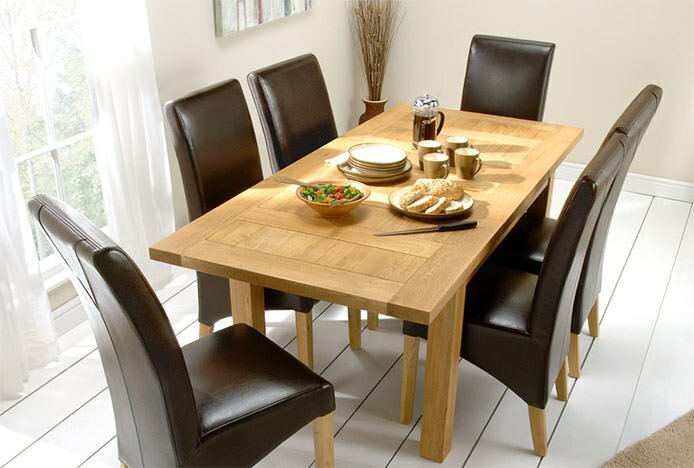 Regardless of the style or size of your home, a leather dining chair is a dependable choice that is well worth investing in, whether you choose genuine, faux or bonded. Why not browse through our full range of dining chairs and check out the variety of different models on offer. The exclusive guide to real leather, fabric, and faux leather bar stools..